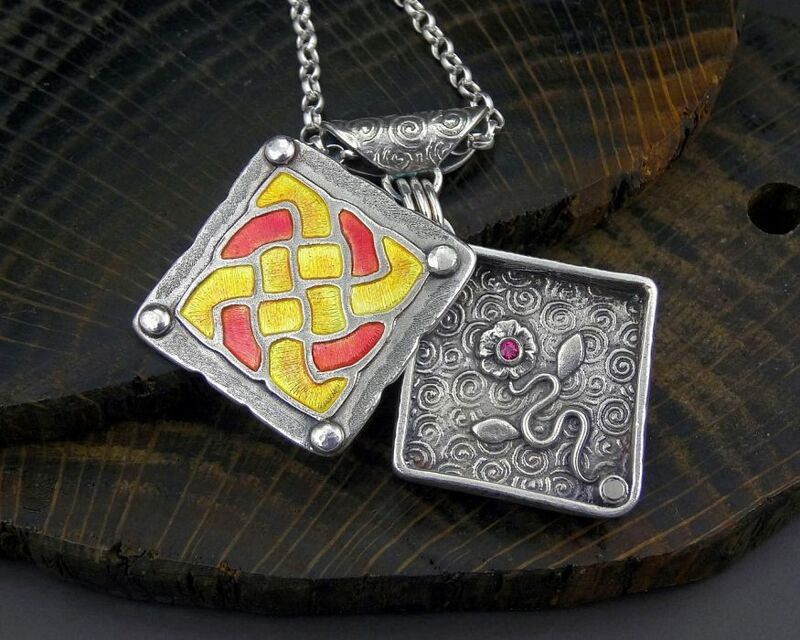 In this 2 day workshop you’ll make a silver locket using Art Clay Silver. The enamelled front swings sideways to open the locket and it’s attached with a hidden rivet. The piece stays closed with a magnetic clasp, but we’ll also cover an alternative catch without the magnet too. Inside the locket we’ll add some fun decoration and set some tiny stones for added sparkle. The locket is reversible making it much more appealing. We’ll cover making a reusable texture plate suitable for enamelling, making tiny fun things for inside the locket, making a swing bail for the locket to hang from and enamelling into shallow recesses on the lid. Some metal clay experience is necessary.